Financial sustainability gets plenty of lip service in the civil society sector, and anyone who has filled out a grant application has probably written a required “sustainability plan” for a set of activities. However, despite the prominence of financial sustainability in the donor discourse on civil society, actually obtaining the resources required to be resilient to the ups and downs of the donor marketplace remains a critical challenge for Civil Society Organizations (CSOs). This challenge is particularly acute for local CSOs in middle and low-income economies, who are best-positioned to serve their communities but face a limited supply of local financial resources and difficulty in accessing funding from abroad. Yet, while this challenge is widely acknowledged, relatively little data is available on the amount and nature of support specifically designed to help improve organizations’ financial sustainability or how different drivers of organizational sustainability may be more or less important in different contexts. That’s why the USAID-funded Facilitating Financial Sustainability consortium (http://sustainability.linclocal.org/), led by LINC with partners Peace Direct and Foundation Center, is excited to launch three new reports that together provide a comprehensive examination of the CSO financial sustainability system. These reports are accompanied by interactive funding network maps that allow users to explore the CSO financial sustainability landscape in six country contexts: Bosnia and Herzegovina, Colombia, Democratic Republic of the Congo, Mexico, the Philippines, and Uganda. The research is based on interviews with more than 120 development stakeholders in these six countries and analysis of close to 18,000 grant records. This allowed the research team to put rigorous numbers and analysis to how both funders and CSOs confront the question of how to develop sustainable organizations. On the funder side, the team found that only five percent of total grant funding to local CSOs is explicitly targeted towards supporting those organizations’ financial sustainability. In the cases that funders do focus on supporting sustainability, they tend to follow three strategies: providing unrestricted support, building organizational capacity, or developing and facilitating networks. But even the support within these categories can vary considerably in its structure, with only 11 percent of unrestricted grants extending beyond one year despite the critical importance of long-term planning for organizational sustainability. There are also notable differences in how this support is distributed across sectors, with human rights-focused organizations heavily over-represented in terms of receiving support for their sustainability relative to organizations in other sectors. The analysis of funding patterns and funder approaches provides unprecedented evidence of how funders act to support sustainability. A representative from HURIFO in Uganda, one of the CSOs profiled in the report. On the CSO side, the research team found that in addition to the organizational factors that are traditionally associated with driving financial sustainability, for example strong internal strategic and financial planning systems, in certain settings less obvious factors such as community social capital can be equally important. While international funders may come and go, a CSO’s relationship with its own community remains the bedrock of its ability to operate successfully, and so some of the most successful organizations have found creative ways to build this social capital. 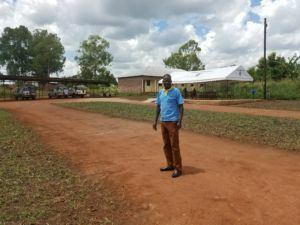 This may happen in spite of, rather than because of, typical funding structures; for example, one organization in Uganda took advantage of a rare unrestricted windfall from a prize competition to conduct small projects for the local community completely outside of their normal programmatic mandate but which proved critical for building buy-in to the organization’s long-term success among community members. 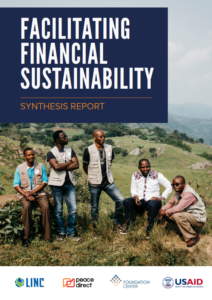 By bringing together quantitative funder data and structured analysis of interviews with CSOs, funders, and other stakeholders, the research provides a systems-level view on the question of financial sustainability. From this perspective, sustainability is more than any one organizations’ balance sheet, and instead encompasses the complex interactions between CSOs, funders, local institutions, and local community members. Like any good research, this ends up raising as many questions as answers, but moves the development sector a step closer towards understanding how to create vibrant and resilient organizations to serve the long-term needs of their communities.